On October 19, 2012, the US Attorney’s Office for the Southern District of New York made clear that Polina Breyter would spend the next 58 months in prison for defrauding the Conference of Jewish Material Claims Against Germany, Inc out of $57.3 million. According to court documents, the Claims Conference is a not-for-profit organization that seeks to provide assistance for surviving Nazi persecution victims. Funds are distributed to “the Hardship Fund” and “the Article 2 Fund,” by Germany, and the Claims Office processes the applications for the disbursements. The Hardship Fund provides refugee victims with a payment of $3,500 one time, but Breyter and co-conspirators placed fraudulent applications for many people that were born after World War II and not Jewish. According to the FBI, Breyter and co-conspirators submitted about 3,839 fraudulent applications. The Article 2 Fund provides monthly payments around $400 to victims that now make under $16,000. 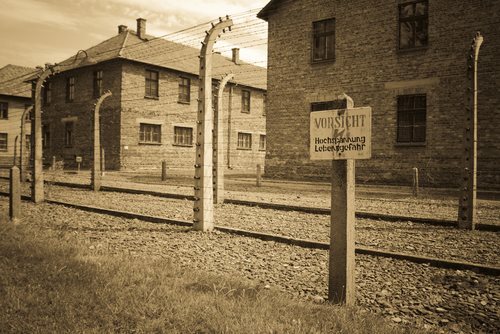 Qualified applicants also lived in hiding or used a false identity for at least 18 months, were forced to live in a Jewish ghetto for 18 months, or were placed in a concentration camp for at least 6 months. The fraud was more complex with the Article 2 Fund because co-conspirators had to create false documents that prove the victim’s prosecution by Nazi Germany. About 1,112 Article 2 Fund applicants were discovered as fraudulent so far. Breyter agreed to file the falsified applications and received payments from other co-conspirators. For her actions, he was sentenced to prison and ordered to pay restitution of $461,875.65 and forfeit $22,000. 31 people have been charged in the scheme so far.